HomeBlogWebsite DesignWhy Should You Look For Full Management of Your WordPress Website? Powering over 26.4% of the top 10 million websites, WordPress is the most popular and convenient content management system, and if you are planning to put your website on WordPress, you have taken a great decision. However, for a non-tech, hosting a website can be an overwhelming process. One big reason is the lack of knowledge. From a business perspective, it is crucial for you to ensure your site serves the intended purpose and succedes online. For this, you need a company that provides full management of your WordPress website and the ability to manage your professional WordPress hosting. Today, a majority of people get confused when it comes to choosing between shared hosting or managed WordPress hosting. Well, it depends on your preferences. If you want to be in the business for long term and get the competitive edge over competitors, your website deserves the best. Thus, going with managed WordPress hosting for your website would be an excellent idea. Let’s take a look at some of the reasons to go with professional WordPress hosting and website management services. If you choose managed WordPress hosting, you get a dedicated server customized to meet all your needs. A dedicated server makes your website lightning fast to help you secure better rankings in major search engines. Page load speed matters because speed sells! Apart from it, you get everything that your site may look for whether it is a regular backup or latest security updates. Also, with the latest updates from google stating that websites should be extremely fast and responsive it’s in your best interest as a business owner to ensure that your website doesn’t get penelized and harm your rankings. Rankings are very important because your rankings directly affect traffic to the site, and that directly results in your online sales or incoming business calls or leads. I also want to point out that signing up for a dedicated server is no walk in the park. Most company require you to completely setup the server yourself and if they don’t, expect pricing to be very high. Our dedicated servers have been optimized to run as fast as possible according to googles latest standards. In most cases, when we transfer a site to our server, we see a 10% increase in website page load and that in turn results in higher rankings on google. That’s one of the benefits of allowing us to manage your website. In professional WordPress hosting, you will get IMAP email solutions and full email administration of all email addresses for your whole organization. Further, if you need office365 email by Microsoft, you can get that as well for an additional cost. Our managed WordPress hosting allows you to focus on your core business and other essentials while we do all the dirty work on your behalf. Running a successful website is all about managing site’s data with full attention and caution. Going with professional WordPress hosting helps you backup your WordPress site before making crucial changes to it. In addition to our server backups, we provide a custom backup plugin that will compress all your website files and database in one little package. Further, the zip file will be sent to Google Drive for an extra layer of backups. So, customizing your WordPress website the way you want will not be an issue with managed WordPress hosting. The reason why we complete this is to ensure that all of our clients are double protected in the case of an website venerability. Most times when shared hosts are hacked, those problems came from another website that is also shared on the server. Once they get inside one, they leak through to the rest, and very quickly. We know that shared hosting is a big mistake and have seen this time and time again. That’s why we send our second layer of backups to off-site storage. We can easily access those files at any time and know that they will not be compromised upon any vulnerabilities. WordPress websites are very powerful and the best solution for website development, you just need to make sure that your site is protected, professionally hosted and managed. The best thing you with professional WordPress hosting is, it is fully managed and is something that you cannot get in a shared hosting. 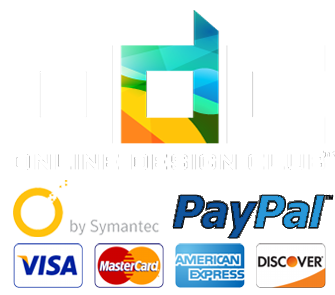 You service provider will be responsible for adding or modifying content as per your request. In addition to that, leading Managed WordPress hosting providers like ODC posts blog articles daily, add new clients to your portfolio, and can customize your site the way you want. A fully managed WordPress site is a huge benefit for your website because by updating and adding fresh content to your site helps you sustain visitors of your site. The good thing is all requested changes will be published within 1-2 business days or could be scheduled to your specified date. A professional WordPress hosting plan offers marvelous security against all sorts of threats and risks by online hacktivists. Several reasons an intruder easily enters a website which includes outdated themes, plugins, and core code. However, not the case with managed WordPress hosting offered by ODC because servers are fined tuned to fulfill all needs of a WordPress website and keep the bad guys out. Above all, the team is always up to providing great support that you cannot expect from a shared hosting provider. As mentioned above, one of the main reasons that websites are compromised are because of owners not updating. Website updates are not easy, because many times, they can cause issues with the layout or look of the website. This has caused many people to avoid updates. ODC’s WordPress website hosting packages all include updates. As updates are available, Online Design Club will back up your site, update it, test the site to ensure that it’s functioning properly then transfer that working site from a demo to the live environment. If you are looking for a company to provide hosting, updates, and maintenance, you have found the right place. To remain competitive and secure and succeed in your niche all you need is a fully managed WordPress website powered with professional WordPress hosting. Want to know more? 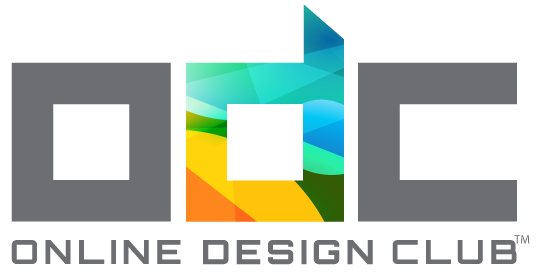 View our website at www.OnlineDesignClub.com or Give us a buzz at 888-343-0403.